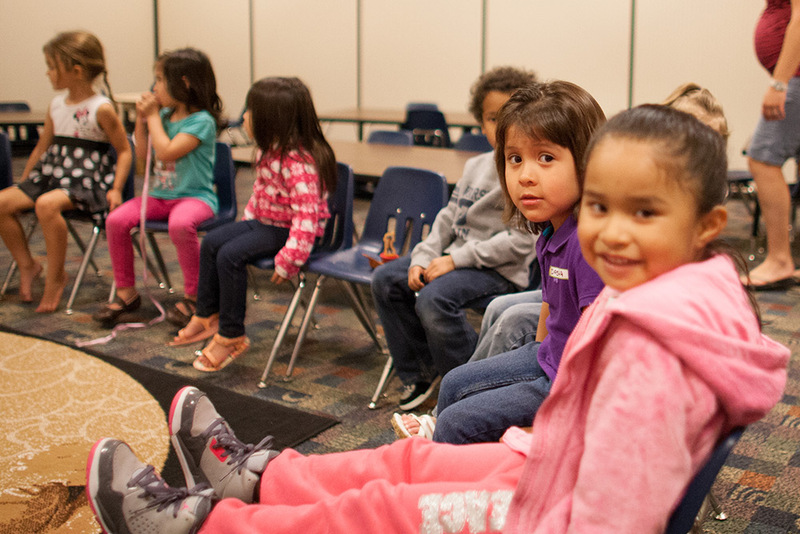 The Christian education program is a vital part of White Horse Christian Center. It is designed to train all children and youth to love the Lord their God with all their heart, soul, mind and strength, and to love all people as Jesus loved us, so the world will know we are His disciples. In the classrooms and through all activities all children and youth will be nurtured in the ways of God according to the Holy Bible, and will be encouraged to experience all that God has promised them in His Word. By so doing, the children and youth will learn of the love God has for them and the importance of loving and serving God and their neighbors as defined in John 13:35; Mark 12:30-33 and Mark 16:15. At White Horse Christian Center, children experience the love of God and increase their knowledge of the Word of God in an atmosphere that encourages them to follow the leading of the Holy Spirit as they build a foundation for a lifelong relationship with God. We believe that every child has a unique and special gifting and calling from God. As we disciple them in the Word and their relationship with God, they will accomplish incredible and even impossible things. We endeavor to create a safe and healthy environment in which children may learn. All children must be checked in with an adult signature. Children may only be checked out to the adult who signed the child in, unless prior arrangements have been made. All teachers are approved by the Senior Pastor who approves only those people who have proven their dedication and trustworthiness through time and relationship. These teachers are trained to foster relational and spiritual growth through conversation, interaction, and personal relationship with the children. At White Horse Christian Center, we believe that it is very important to teach children Biblical principles at a young age so they can reap lifelong benefit from the Word. We use a unified curriculum that focuses on relating the Bible to our everyday lives. Each week the lessons are introduced on Wednesday during evening classes and then reinforced in all of our Sunday classes. 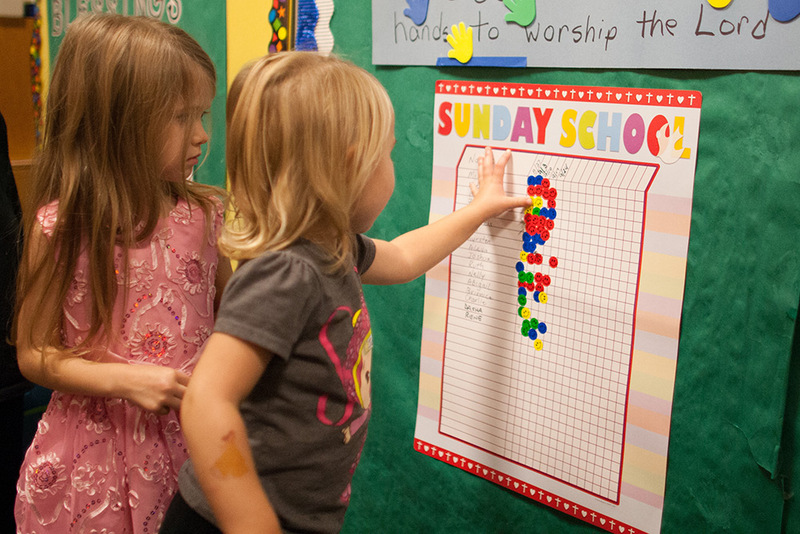 Children experience one new story each week and a new memory verse each month. This enables the children to get the Word deep in their hearts and know how it applies to their life. If you have any questions about the classes or curriculum, you may contact Jane Johns at janejohns@whcc.net or call her at the church office (765) 477-1111. At White Horse Christian Center we believe it is vitally important for families to worship together, each generation gleaning from the other. In light of this, children begin each worship service with their parents or guardians and then are dismissed for classes after the offering. Sunday 8:30 am: This early morning class is full of relevant, real-life applications that reinforce the lessons taught. Stories from the Bible come to life as children act them out themselves and join in activities and games based on the stories. Children are challenged to look deeper at stories they may have heard many times before and are introduced to stories they most likely have never heard. Sunday 10:00 am (K-3rd Grade Only): Group's Living Inside Out™ curriculum combines jump-and-shout large group energy with no-barriers small group relationship-building that challenge kids to live out their faith every day, everywhere... in front of everyone! The 4th and 5th graders remain with their parents in the sanctuary. Over the years, this age group has shown such a hunger for God and an aptitude for gleaning wisdom and truth from the adult service that we believe they are best served in their walk with the Lord to remain there. Sunday 6:00 pm: Our Sunday evening service is bilingual - Spanish/English. The K-5th children are taught the Word of God by both Spanish and English speaking teachers. Wednesday 7:00 pm: K-1st grade, 2nd -3rd grade, 4th-5th grade all meet in different rooms. Group™ Curriculum gives children a sequential view of the Bible so they can better understand how the people and events all fit together to tell God's story. They also discover core Bible truths and how they can apply to their lives. Children experience the wonder of God and have life-changing moments.